Amazon Business and QuoteWerks provide a new, convenient way to purchase products for your client engagements. We’re working with Amazon Business to provide you with an integrated solution that helps to streamline your processes and makes it easy for you to procure products and supplies for your business. 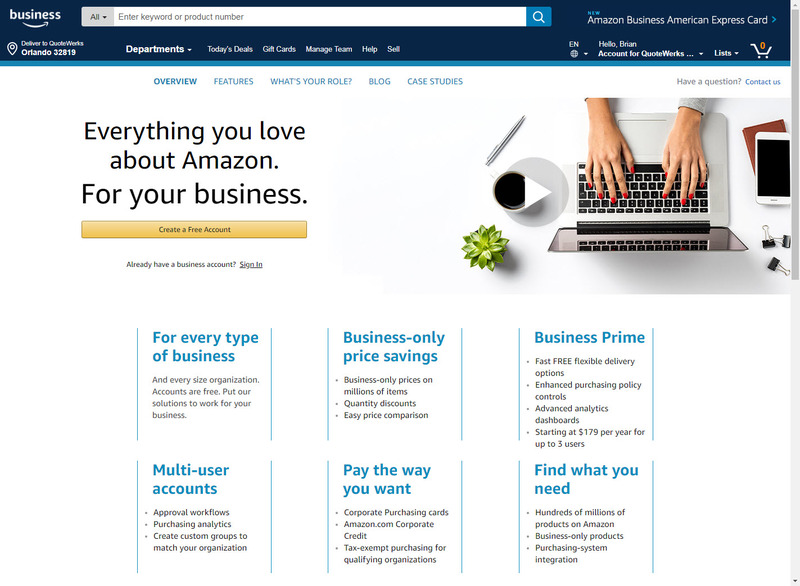 Amazon Business is a marketplace that combines the selection, convenience and value customers have come to know and love from Amazon, with new features and unique benefits tailored to the needs of businesses. Amazon Business provides easy access to hundreds of millions of products. Now you can conveniently purchase the products you need, save time, and streamline the projects you’re working on. Amazon Business accounts include business-exclusive price and quantity discounts on hundreds of millions of products. Plus, FREE Two-Day Shipping for eligible orders with Business Prime. You can register for a FREE Amazon Business account today. Search and build quotes for products available on Amazon Business within Quotewerks Product Lookup. You can easily see pricing and product information, and if the item is Business Prime eligible. Prices displayed in Quotewerks Product Lookup are from Amazon.com, and may be different from the prices offered on Amazon Business. Prices of products included in your quote are subject to change until the order is placed. Follow a few simple steps to connect QuoteWerks to your Amazon Business account. Once connected, you will be able to place orders on Amazon Business from within QuoteWerks. Follow these instructions (PDF Document) or contact QuoteWerks Technical Support for assistance. 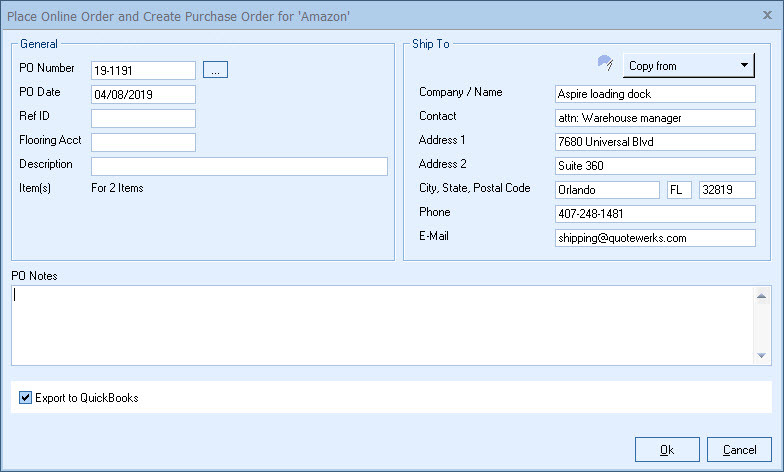 QuoteWerks integrated purchasing makes it easy to create Purchase Orders and send them directly to your Amazon Business account. You will receive an email confirmation from Amazon Business once your order has been confirmed and received by Amazon Business. You can also check your order status through your Amazon Business account. Receive exclusive price and quantity discounts on more than 5 million products. Gain visibility into how your business is spending on Amazon Business with analytics and a consolidated view of purchasing by supplier. Choose the payment method that works best for your business, whether it is a purchasing card or a line of credit.